The 9th hole is a long par five that is reachable in two by only the longest hitters. 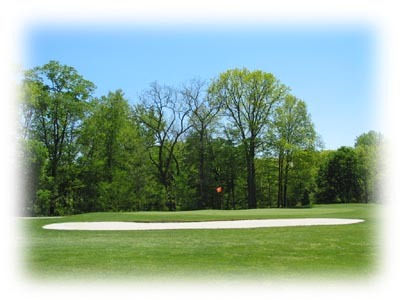 Play your tee shot down the right center to the wide fairway, while avoiding the tree line to the right. The large flat green is guarded by bunkers on two sides. Don't go long as there is little room behind the green. Played properly, this hole yields a great birdie opportunity.